Food places, Music, Art and many more"
The governorates are divided into 25 districts (Aqdya, singular - qadaa). 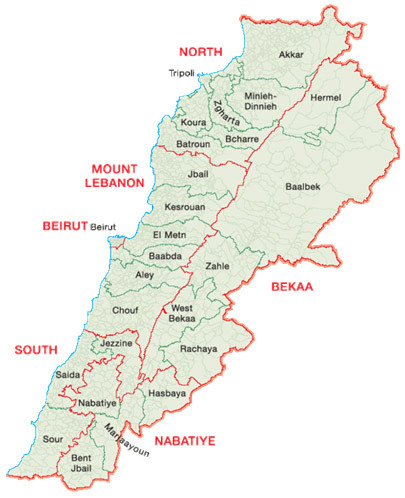 The Beirut Governorate is not subdivided, and then subdivided into municipalities. Two new governorates have been approved but not yet implemented: Akkar (from Akkar District) and Baalbek-Hermel (from Baalbek District and Hermel District).